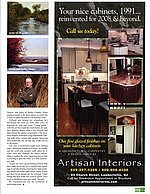 "I'm an artist trapped in the body of a programmer," says Joe Kazimierczyk, a landscape artist who lives in an 85 year old stone cottage in Neshanic on the Sourland Mountain. 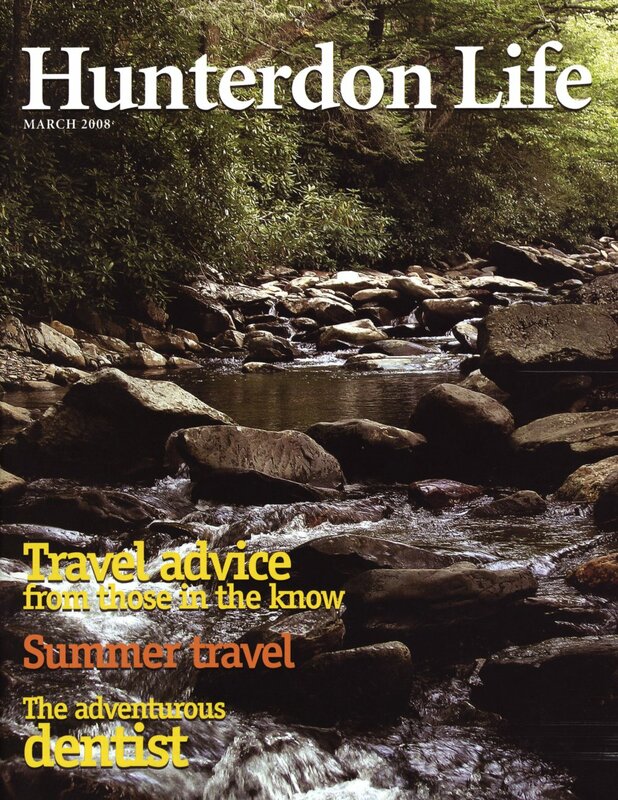 For 25 years, he's worked as an information technology expert while leading a parallel life painting the landscapes of Hunterdon and Mercer counties. "I began painting for myself, right after college. 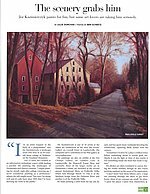 Growing up, I never considered painting as a profession," admits the self-taught artist, "but now I'm doing well and it's only been since 2005 that I've been showing my work in public." 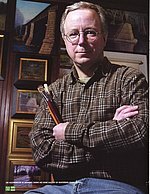 Mr. Kazimierczyk is one of 18 artists at the oldest art cooperative in the area, the Artists' Gallery on Coryell Street in Lambertville. his computer savvy contributes to his Web gallery at www.joekaz.com. 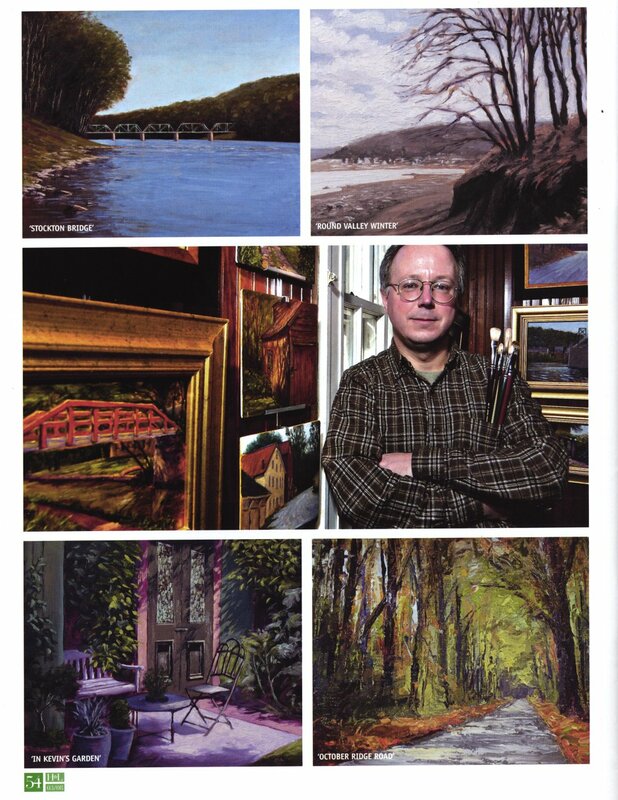 His paintings are also on exhibit at the Des Champs Gallery on Lambert Lane in Lambertville, the Hopewell Frame Shop and currently, three of his larger works set in Hunterdon County are included in the second annual Invitational Show at Prallsville Mills, which runs through March 15. One is of the Stockton bridge from the Delaware River and another is of the Prallsville Mills. He finds painting a relief from his day job, he said, and has spent many weekends bicycling the countryside, capturing likely scenes with his camera. "Sometimes I'd drive by a place a million times before something about it would grab me. Maybe it was the light or time of day, maybe it was something inside my head that made it register." His photos are often translated to canvas during the winter months, though he also enjoys painting outdoors at the scene of his inspiration. "I don't know how those fellows carry a large wet painting through the snow to get them home. Most of my canvases are small," he jokes. 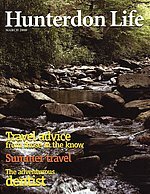 "I paint the places I know best, Hunterdon, Mercer and parts of Bucks County. Some painters travel to far away places to work, but I want to paint the places I'm familiar with." 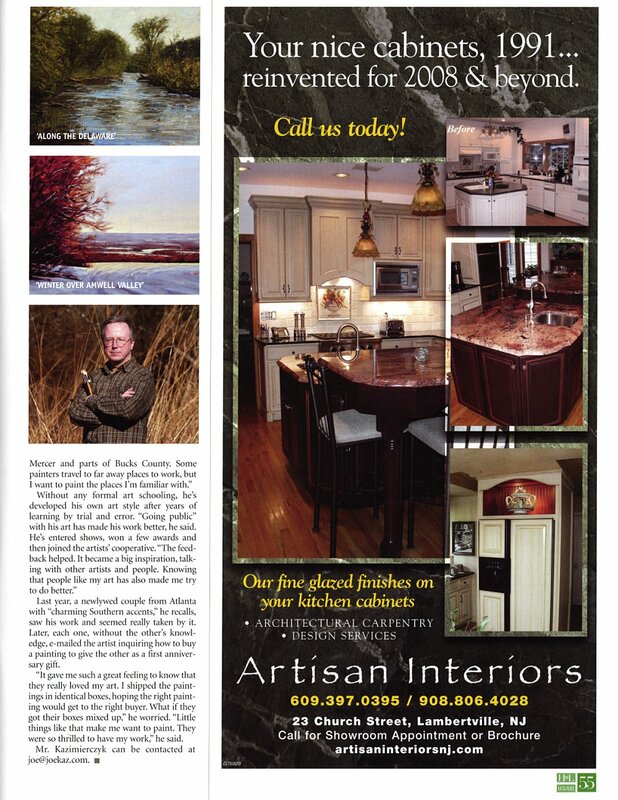 "Without any formal art schooling, he's developed his own art style after years of learning by trial and error. "Going public" with his art has made his work better, he said. 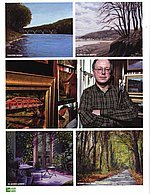 He's entered shows, won a few awards and then joined the artist's cooperative. "The feedback helped. It became a big inspiration, talking with other artists and people. Knowing that people like my art has also made me try to do better." Last year, a newlywed couple from Atlanta with "charming Southern accents," he recalls, saw his work and seemed really taken by it. Later, each one, without the other's knowledge, e-mailed the artist inquiring how to buy a painting to give the other as a first anniversary gift. "It gave me such a great feeling to know that they really loved my art. I shipped the paintings in identical boxes, hoping the right painting would get to the right buyer. What if ehy got their boxes mixed up," he worried. "Little things like that make me want to paint. They were so thrilled to have my work," he said.